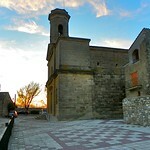 Passanant i Belltall is a municipality in the comarca of the Conca de Barberà in Catalonia, Spain. 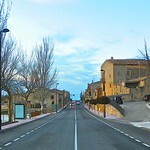 It includes the settlements of Passanant, Belltall, Glorieta, La Sala de Comalats, La Pobla de Ferran, and El Fonoll. The municipality was known as Passanant until 2005 when it was changed because although the town hall remains in Passanant, the village of Belltall is also of importance.